Natural diuretics are foods and herbs that contain particular qualities that help increase the body’s diuresis: its ability to remove excess liquids that might otherwise be retained due to different conditions. When your body begins to swell for no apparent reason, odds are it has something to do with fluid retention, a condition that can become dangerous, especially when it comes to the cardiovascular system. Difficulties you have when draining or reducing retained fluids could be caused by having a diet that’s high in sodium, experiencing hormonal issues, heredity factors, or consuming other inappropriate foods. Fortunately, with the regular consumption of these natural diuretics, you can cope with this condition and keep it from worsening or interfering with your major bodily functions (like the metabolism). Are you read to learn more? This wild Mediterranean plant has numerous benefits that you can take advantage of through food, as a spice, in a tea, or even a cocktail. It is a strong diuretic that in addition to removing excess fluids can help regulate various digestive processes. Green tea is best known for its high concentration of antioxidants and other compounds that make this beverage excellent for weight loss. It is also a diuretic that promotes natural detox, important for maintaining your body’s fluid balance and eliminating toxins. This tropical fruit has become popular worldwide thanks to its characteristic sweet taste and high water content. An estimated 85% of pineapple is water, meaning that it’s low in calories, but still high in fiber, vitamin C, and bromelain, all of which help reduce fluid retention. Because it’s a good source of potassium, pineapple helps balance the sodium content of the body, which in turn stimulates the elimination of excess liquids and improves various vital organ function. 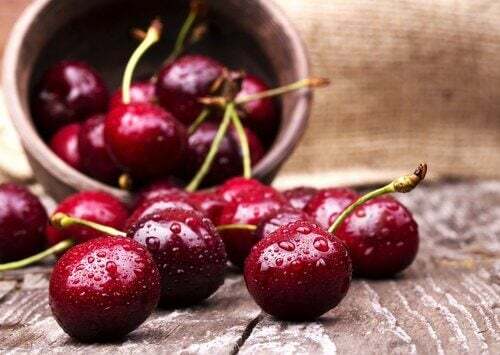 Cherries are made up of up to 70% water, with large amounts of B vitamins and to a lesser degree, magnesium, which is a mineral that’s essential to enhancing your mood. As another source of potassium, these fruits are considered to be natural diuretics. They contain significant amounts of flavonoids and antioxidants that facilitate the removal of water from the body. This refreshing fruit has a very high water content (nearly 90%), in addition to vitamins, fiber, and other compounds that fight fluid retention. Melon is also high in beta-carotene, an antioxidant that prevents premature aging by stopping damage by free radicals to your cells. Also known as bitter, or Indian, chestnut, this plant is valued for its ability toimprove the problems associated with varicose veins, hemorrhoids, and phlebitis. The fruits and seeds are traditionally selected for use, but the whole plant has beneficial properties. It’s great for fighting fluid retention thanks to the high content of flavonoids like quercetin and rutin. These antioxidants stimulate the kidneys to eliminate fluids through urine. The common name for this plant comes from the fact that clusters of the grass are shaped like a horsetail or feather duster, and it was widely considered a weed and ignored for many years. Today, however, we know that it has strong diuretic effects on the body, because it’s a natural source of potassium, magnesium, and aluminum. 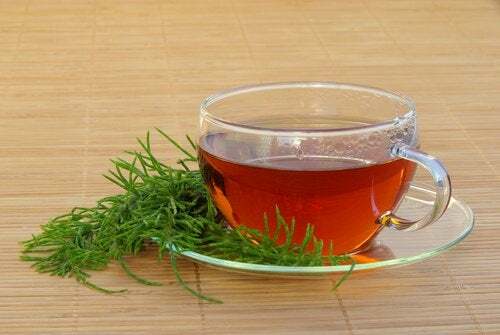 It’s believed that regular consumption of horsetail can increase your urine production up to 30%, which facilitates the removal of toxins and fluids, and can prevent the formation of kidney stones. This common vegetable is a source of minerals and trace elements like calcium, magnesium, chlorine, cobalt, iron, potassium, and more – as well as vitamins A, B, C, and E.
Onions are also diuretic, being made up of nearly 91% water. 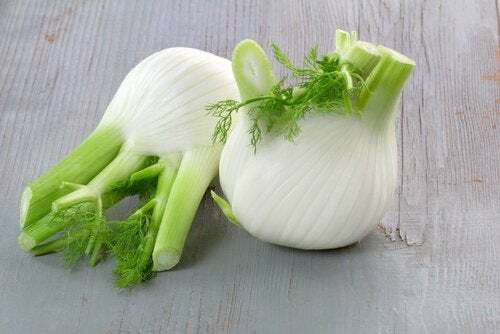 Regular consumption of onion, especially raw, can stimulate renal function making it easier to remove fluids from the body and preventing various diseases. You Have Frequent Headache, Acne, Muscle Cramps, Brittle Nails and Dry Hair? Fin Out Why! A Russian Scientist Claims: 4 Tablespoons Of This Remedy A Day And The Cancer Will Be Gone! Is Hydrogen Peroxide A Cure For Cold Sores?